Teaching is one of the few professions that allow individuals to directly impact the future of our world. In Arizona, the school board strives to provide opportunities for every student to follow a successful path to college and career readiness. With that said, the rewards of teaching are immediate and long term. The following steps will help you become an educator in Arizona. Where do you see yourself as a teacher? Would you like to become an Elementary School teacher, a High School teacher, or how about a Special Education teacher? Before you proceed, you should think about what type of students and subject(s) you would like to teach. There are steps and guidelines based on the type of teacher you want to become. If you are still not certain, you can visit the Arizona Department of Education website to learn more about teachers, schools, and students in the state. All Arizona teachers must at least possess a Bachelor's Degree. In addition, teachers have to complete an Arizona State Board-approved teacher preparation program based on the area in which they want to teach. If you do not already have a Bachelor's Degree, you can participate in a joint program. Joint programs combine the coursework for a Bachelor's Degree and a teacher preparation program. This type of program is typically for people who know from early on that they want to become a teacher. However, if your school does not offer a joint program, consider deciding on a major based on the age level and subject(s) you plan to teach. Teacher preparation programs are generally comprised of two elements: curricula and fieldwork. Curricula tends to include a focus on pedagogy, teaching methods, differentiated instruction, classroom management, and more. Fieldwork, on the other hand, includes classroom observations, internships, student teaching, or a combination of all three. Student teaching often includes creating and implementing lesson plans, writing reflections, being observed, and putting together a portfolio. The Arizona Department of Education maintains a list of the institutions in Arizona that offer approved teacher preparation programs. The program can be completed online or on a college campus, as long as it is accredited. As mentioned earlier, if you decide to be an educator from early on, teacher preparation programs can be done concurrently with your Bachelor's Degree through a blended program. However, if you already have a Bachelor's Degree, you can go through an alternate or post baccalaureate educator preparation program. There is even an option to complete a joint Master's Degree and educator preparation program as well. The Alternative Pathways to Teacher Certification Program is intended for individuals who are changing their career to teaching or recent college graduates who have a degree in a non-education field. These individuals who are interested in becoming certified to teach in Arizona will have the opportunity to teach under a "Teaching Intern Certificate". The certificate holder will be allowed to in any subject area in which he or she has passed the appropriate Arizona Educator Exam. The Intern Teaching Certificate is valid for one year and can be extended for a second year if all requirements are met. Before the end of the second year, the Professional Knowledge (PK) exam must be passed. When all Teaching Intern requirements have been satisfied, candidates will be ready to apply for a Provisional Teaching Certificate with an Institutional Recommendation. 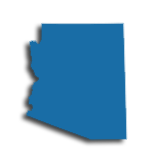 If you have certification to teach in another state, you may be able to teach in Arizona through an Arizona Reciprocal Provisional Teaching Certificate. This reciprocal teaching certificate can be issue to candidate who have a valid, comparable certificate from another state (Elementary, Secondary, Special Education, Arts Education Pre-K-12). In order to qualify, individuals must receive an English Immersion endorsement and a passing score on all the applicable Arizona educator exams. In order to become a teacher in Arizona, there are a few exams you will need to take and pass. To become a certified teacher, you must successfully complete the Basic Skill Test requirement and any Subject Area Competence assessments needed for your desired area of instruction. The Basic Skills Test can be fulfilled by passing the NES Assessments of Professional Knowledge for Arizona. This is a test on basic skills in mathematics, reading, and writing. The Subject Area Competence requirement can be fulfilled by passing the NES Subject Knowledge Tests for Arizona. Those looking to teach in Arizona must take the National Evaluation Series (NES) assessment appropriate for their desired level of education: Elementary or Secondary. Some institutions may ask that you pass some or all of these tests prior to entering or exiting the teacher preparation program. Fingerprint Card Packet: Required for all applicants, including out-of-state educators. After completing the above steps, you will be ready to begin your career as a certified educator in Arizona! You will be prepared to provide opportunities for your students to follow a successful path to college and career readiness. Launching a teaching career in the state of Arizona can require some careful research. In order to motivate teachers to achieve Arizona certifications, the state puts forth an effort to attract qualified and motivated candidates through Arizona Education Employment Board (AEEB) and recruitment events like The Great Arizona Teach-In. Once hired, teachers become part of the Arizona Education Association (AEA), the National Education Association (NEA-AZ), or the Arizona Federation of Teachers (AFT). Additionally, there are associations for teachers to join that advance professional development in their respective disciplines. For teachers seeking employment through a private school, there currently almost 500 private schools in Arizona, serving over 63,000 students. Private schools often have a religious affiliation. Advancement and salary may be different in private schools. Arizona School Retirees Association (AASRA) is one of several organizations that teachers may join that have benefits to retiree teachers. Teachers' retirement income comes through the Arizona State Retirement System (ASRS), which provides a guaranteed lifelong monthly benefit to teacher-retirees and also helps retirees manage benefits payments, healthcare, second careers, and tax information. The table below lists the number of public school teachers in Arizona by grade level during the 2012-2013 school year. There are more than 320 private schools with an estimated 3,500 private school teachers in Arizona. The table below details the number of teachers by grade level during the 2011-2012 school year. While teacher orientation is a vital part of professional development for new staff members, it's only the first step in a teacher's lifelong commitment to their practice. Among the most valuable kinds of professional development are those that include mentoring for new teachers by those with more experience in the classroom. Teachers are compelled to improve their practice in order to best serve the diverse needs of every student that enters their classroom. In the state of Arizona, professional development is facilitated through Arizona's College and Career Ready Standards. This repository of information lists platforms, topics, and organizations that contribute to teachers' ongoing learning. Given that all professional development is managed by the college, teachers are encouraged to check the AZCCRS website in order to coordinate offerings and platforms to suit their professional needs and interests. Arizona's standards for certification for teachers are highly specific and clearly delineated by grade level and specialization. But the Arizona Department of Education does not differentiate between master's and bachelor's (or doctoral, for that matter) degrees when it comes to certification-all count toward a waiver against the state Subject Knowledge Exam. Your professional development requirements for your regular teaching certificate renewal can be met with one semester hour of college coursework, at any level, from an accredited institution. But in the state with the lowest average teacher salaries in the nation, earning a master's degree can still get you some financial benefits, depending on the school district. In Maricopa county, for example, a master's degree is worth a flat $1,000 bump on top of your base pay rate. The highest levels of the initial placement salary matrix are only available to those holding master's degrees or doctorates.